Some 77 million Americans are personally affected in some way by the opioid epidemic. 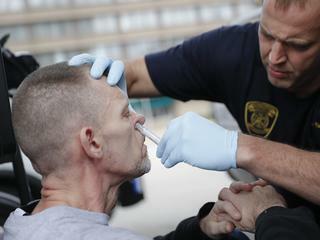 This special series explores the origins of this growing crisis, and how to treat it. Experts say we've been missing a crucial piece of the country's opioid crisis: gender differences in opioid use and addiction. 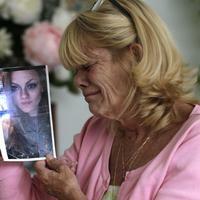 Opioid Treatments Without Addiction. Is it Possible? 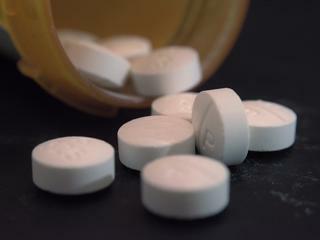 Researchers have been separating the pain-relieving qualities of opioids from their addictive and deadly side effects. 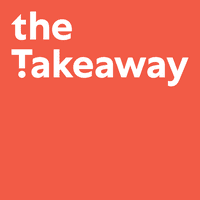 But should a safer opioid be the end goal? Pharma Executives Grilled Over West Virginia "Pill Mills"
Drug distribution companies allowed millions of addictive painkillers into West Virginia. 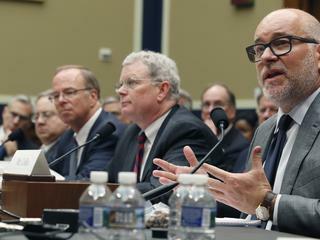 After their congressional testimony, a West Virginia public health expert weighs in. Will More People Carrying Narcan Help Stem the Opioid Crisis? U.S. Surgeon General Jerome Adams issued a rare public health advisory on Thursday calling for more Americans to carry the overdose reversal drug naloxone. As efforts continue across the country to curb over-prescribing of opioids, one addiction psychiatrist says: let's take a different approach. 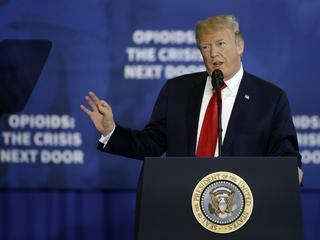 On Monday, President Trump released his new plan to address opioid deaths in America, as Congress prepares to take up a slew of bills addressing the crisis. Despite years of doctors prescribing opioids for pain relief, a new study has found that non-opioid medications are a better alternative. 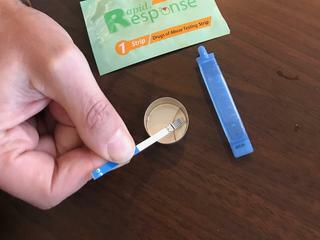 New research finds that a simple test strip can check for the drug fentanyl, which kills tens of thousands of people a year after it's mixed into drugs like heroin and cocaine. 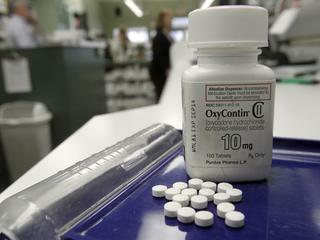 Oklahoma is one of a number of states that have filed lawsuits against opioid manufacturers. But it’s the only state to see its suit move ahead, with a trial date set for 2019.